After All India Congress Committee (AICC) president Rahul Gandhi, it’s now time for another star campaigner of the Congress, Priyanka Gandhi, to visit Silchar to campaign for party candidate contesting the Silchar Lok Sabha seat on Sunday. As per media reportsquoting sources, Congress general secretary, in-charge of Uttar Pradesh, Priyanka Gandhi Vadra will participate in a road show from Silchar’s Sadarghat to Rangirkhari area. 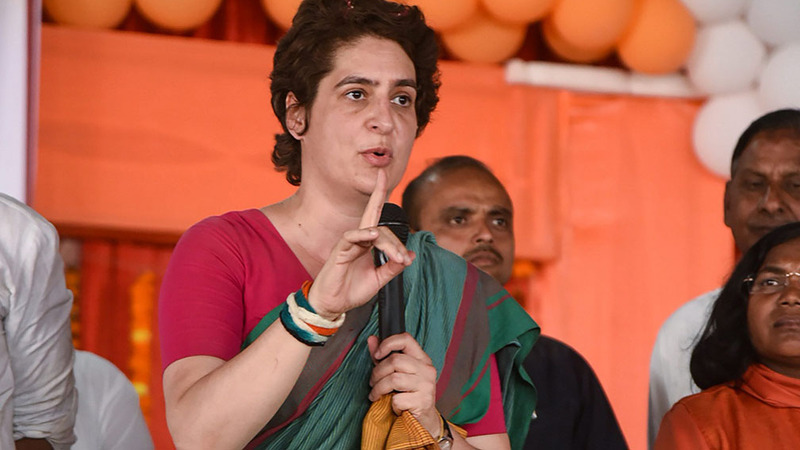 It has been earlier reported that the supporters of the Congress from different parts of Assam have sought Priyanka Gandhi Vadra to visit Assam and campaign for party candidates in the state for the Lok Sabha polls. While five Lok Sabha constituencies in Assam – Jorhat, Dibrugarh, Kaliabor, Tezpur and Lakhimpur – went to Lok Sabha polls in the first on April 11, Barak Valley, central Assam and hill areas will witness parliamentary polls in second phase on April 18. In Silchar parliamentary constituency, the Congress has fielded sitting MP and All India Mahila Congress president Sushmita Dev as the party candidate. Besides Congress’ national president Rahul Gandhi, another star campaigner of the party, Navjot Singh Siddhu has already campaigned for dev in Silchar. The Congress has announced that if the Congress comes to power and Dev is re-elected as an MP, she will be given ministerial berth in the Congress-led ministry at the Centre. According to reports, Priyanka Gandhi Vadra will address an election campaign rally for the Silchar candidate Susmita Dev for the second phase of Lok Sabha election. The roadshow is scheduled to begin from 10 am in the morning.